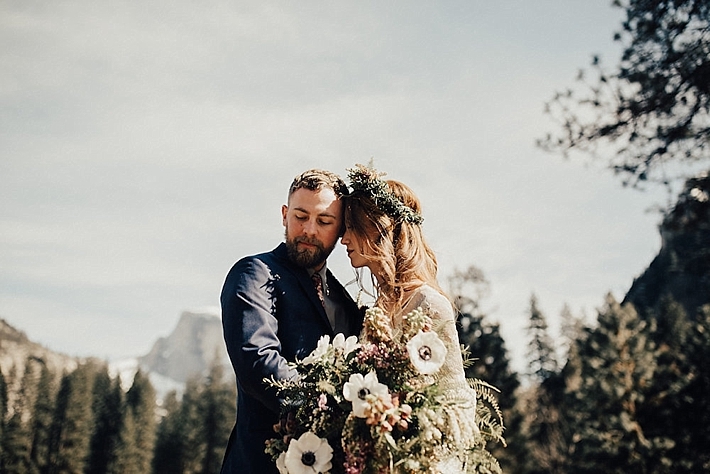 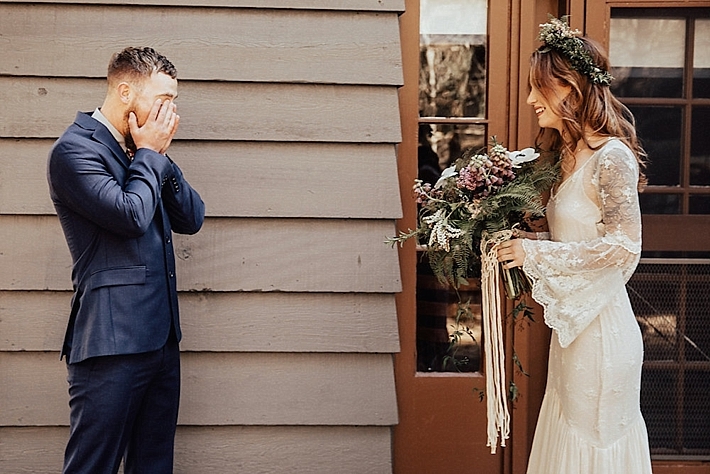 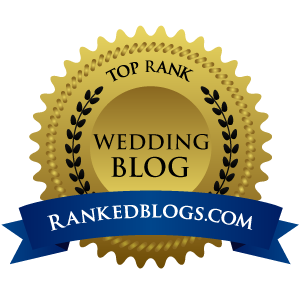 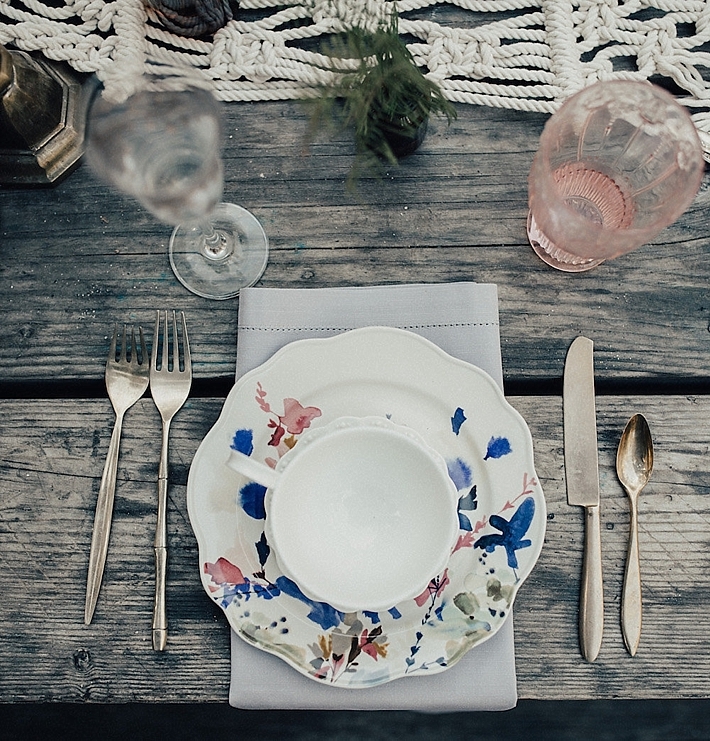 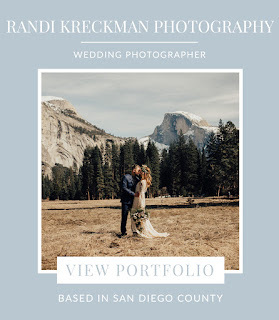 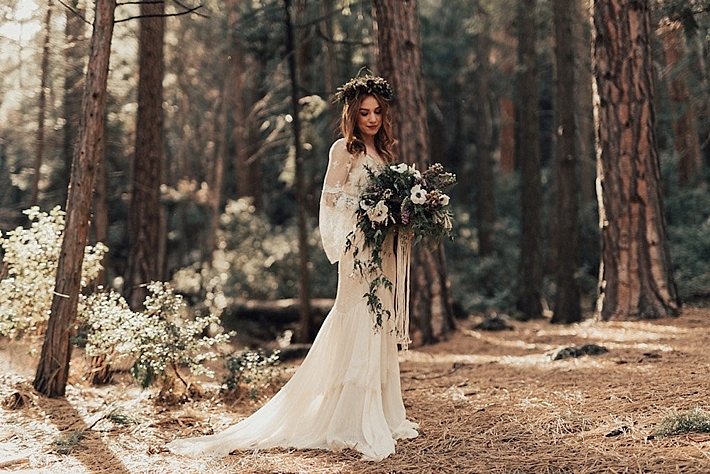 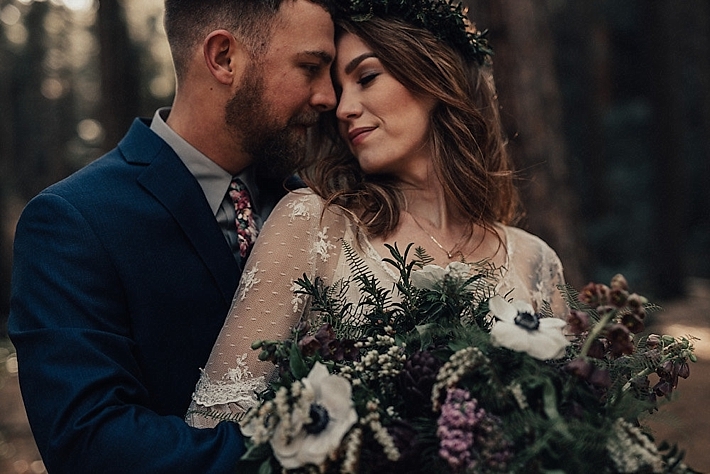 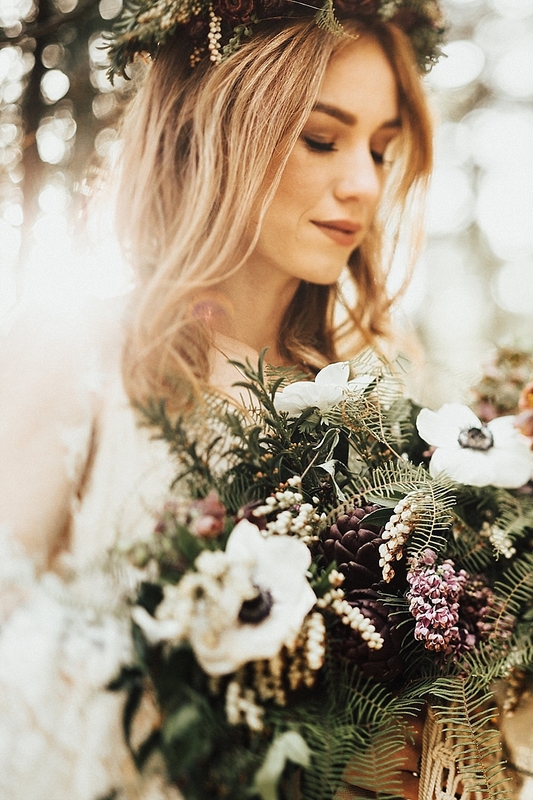 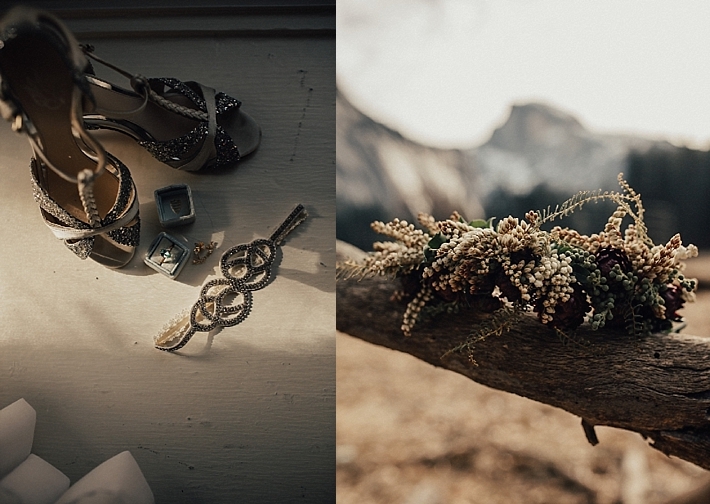 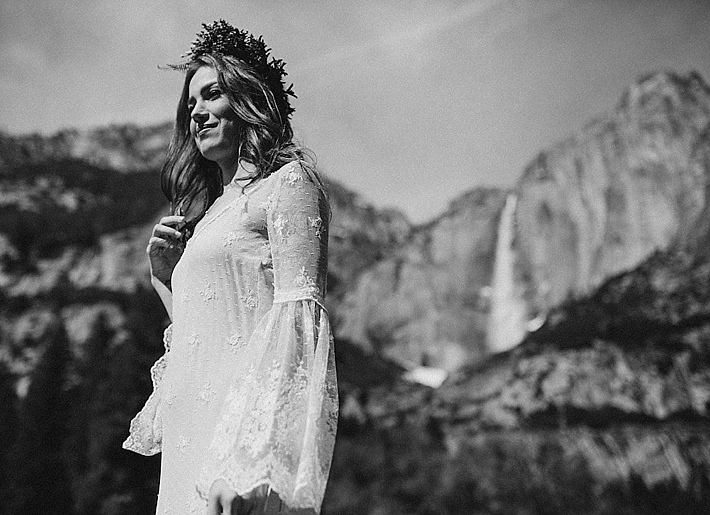 Yosemite National Park is just outside of the area we cover but when San Diego Wedding Photographer and Preferred Member, Randi Kreckman, sent this Yosemite Wedding Inspirational Shoot, I just had to feature it. 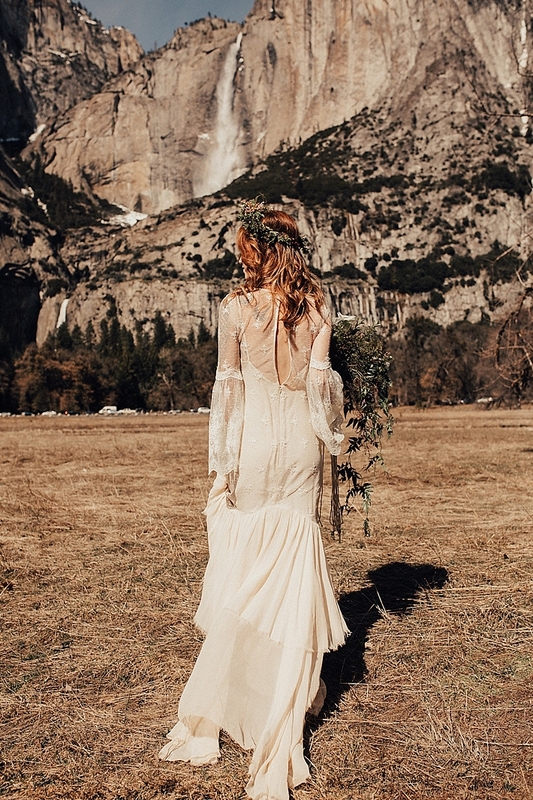 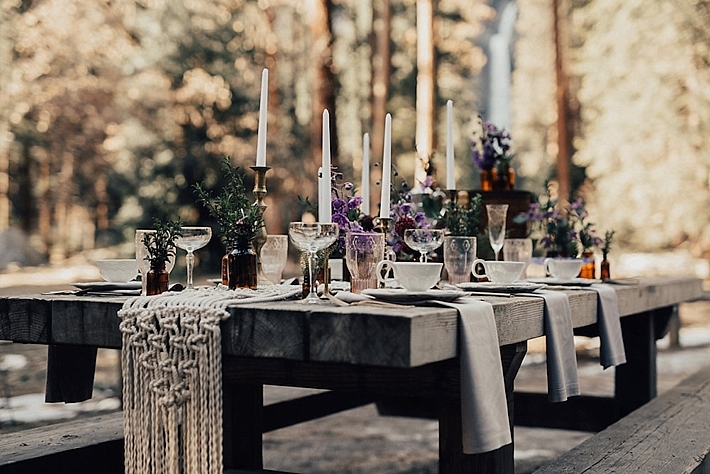 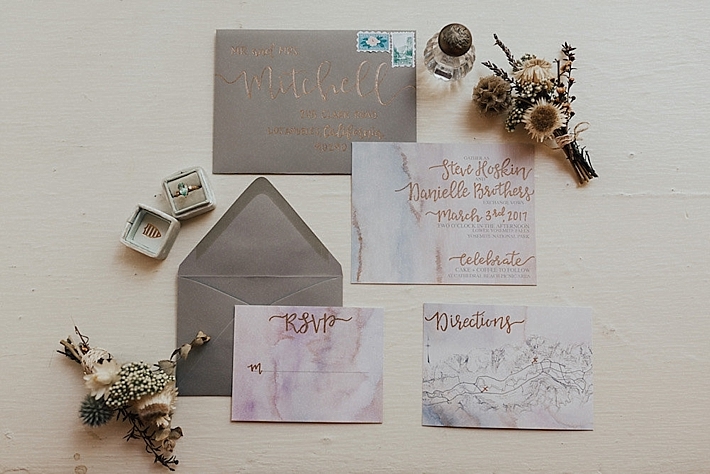 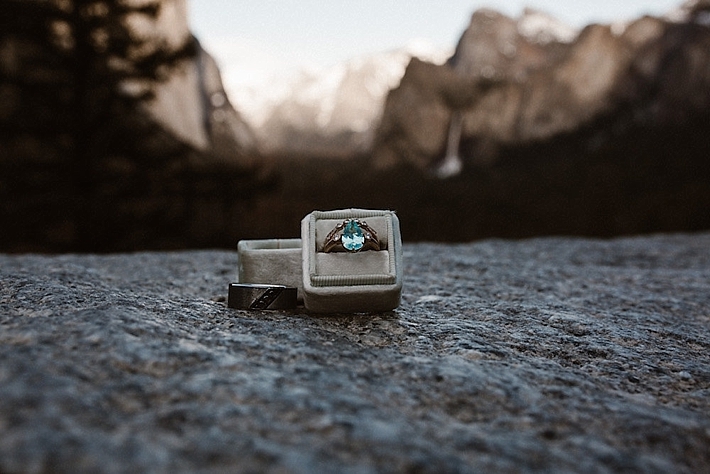 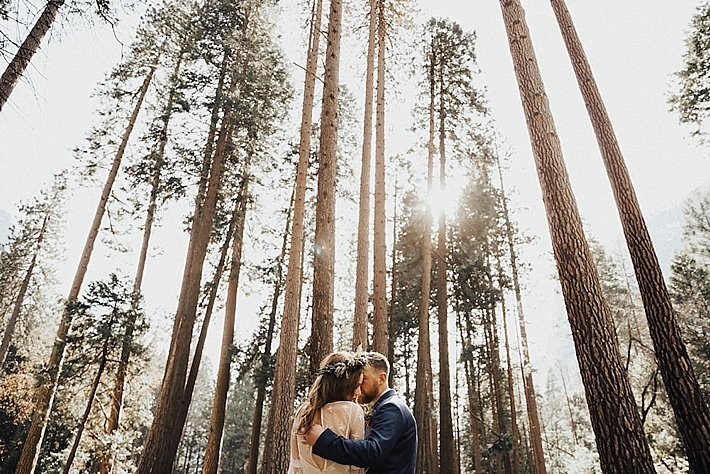 Yosemite is one of my most favorite places in California and with it being a short drive away, I know that the SoCal Bride audience would just love this! 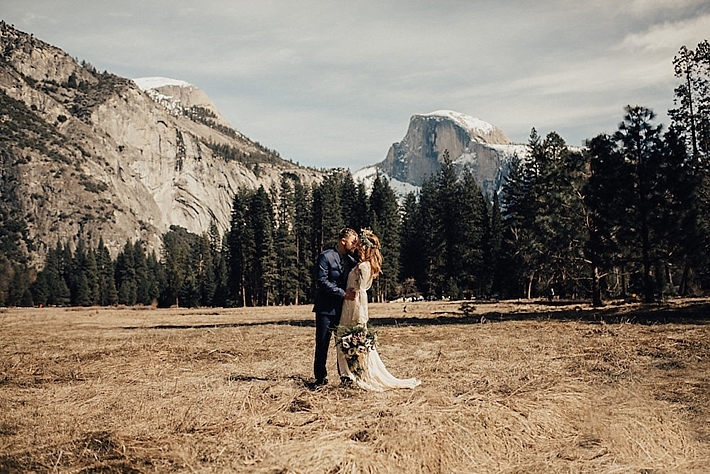 Yosemite provides such a perfect backdrop for couples who want to get married in nature. 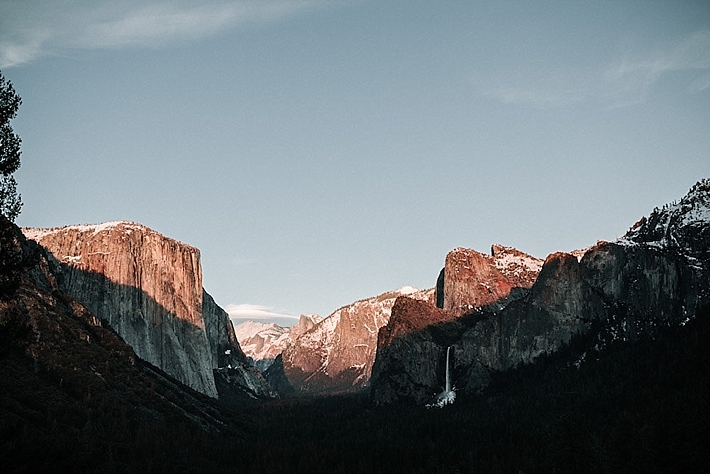 Randi shares this with us, "The valley of Yosemite National Park is like no other place on this earth. 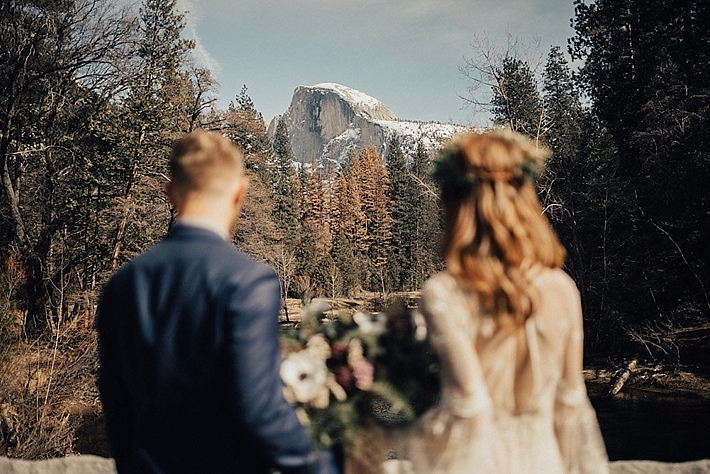 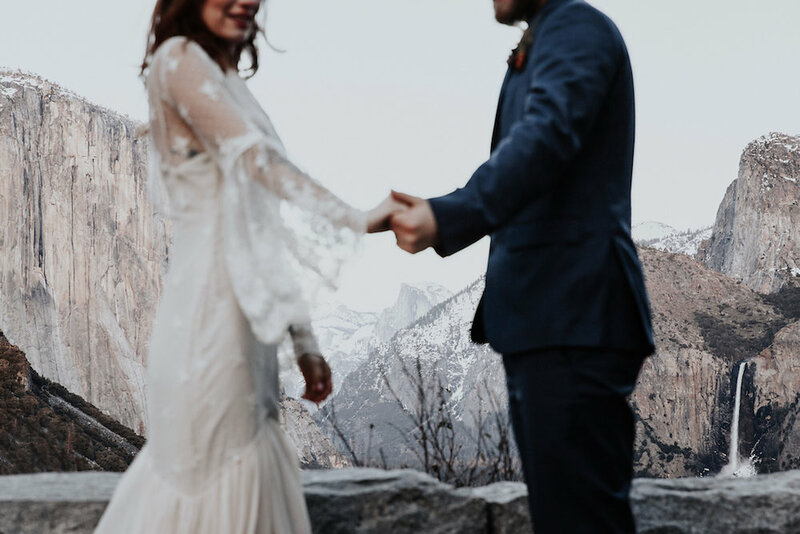 The towering granite faces of Half Dome and El Capitan combined with the breathtaking scenes of Yosemite and Bridal Veil Falls make for an unforgettable place to tie the knot. 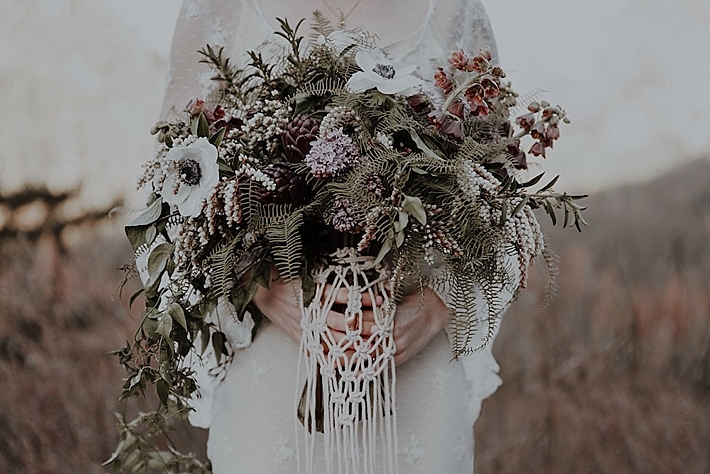 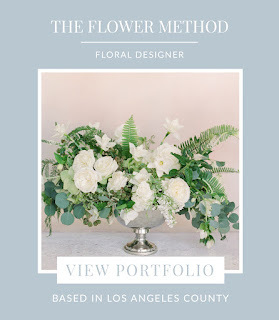 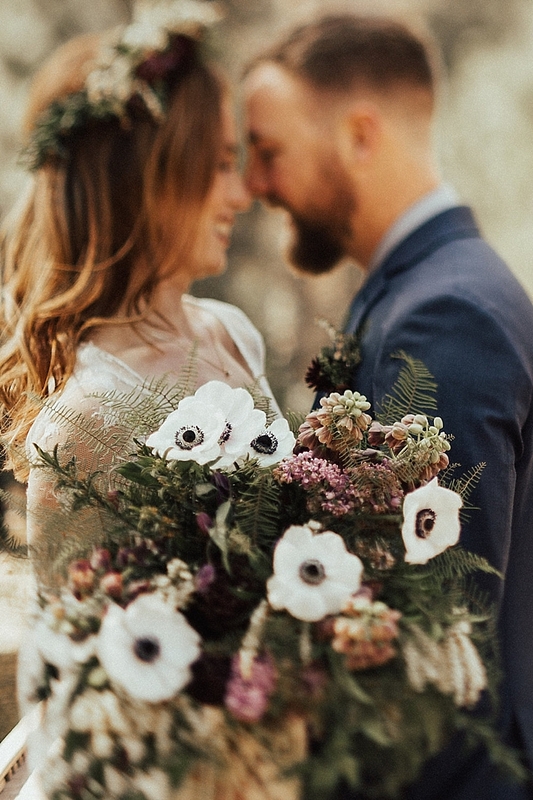 This inspiration uses the earthy, natural textures of the park and incorporates the touch of spring that flows through the valley this time of year with bright pops of lilac and anemones. 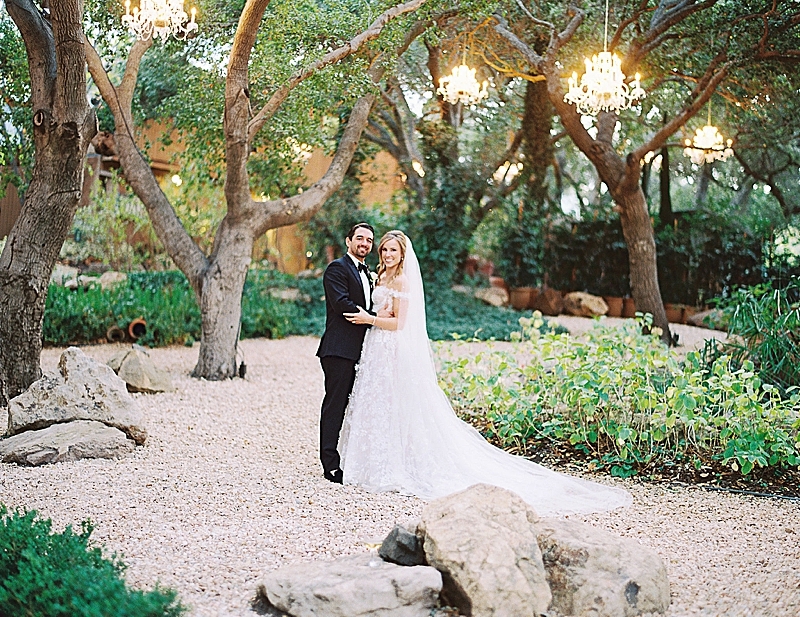 The bride's Chantel Lauren gown breathed freedom and whimsy into the day. 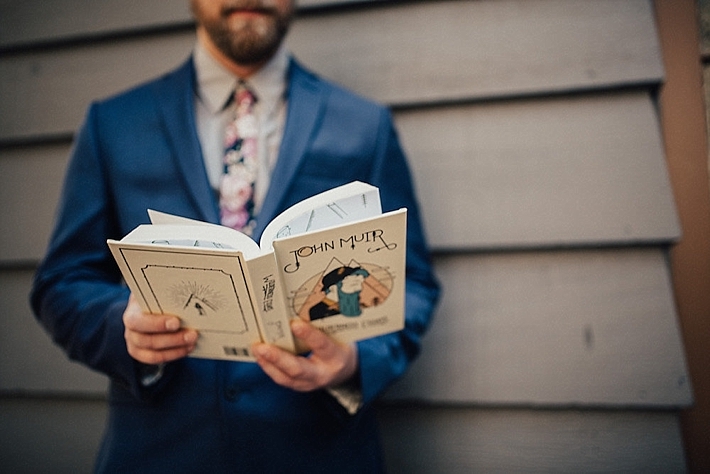 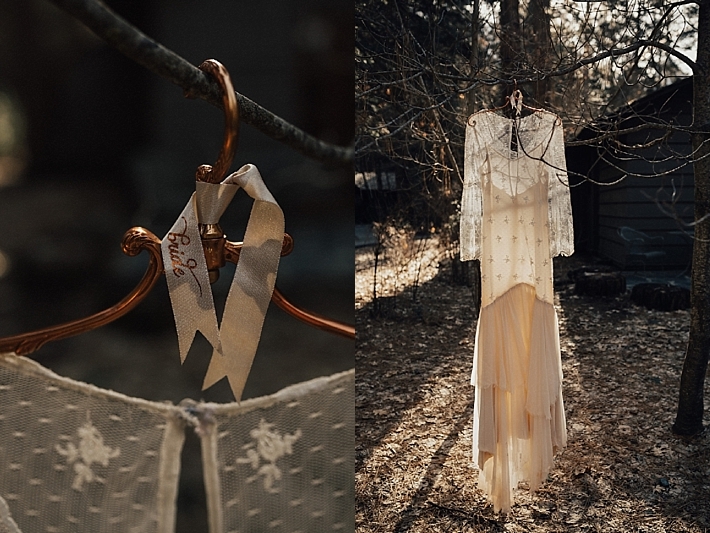 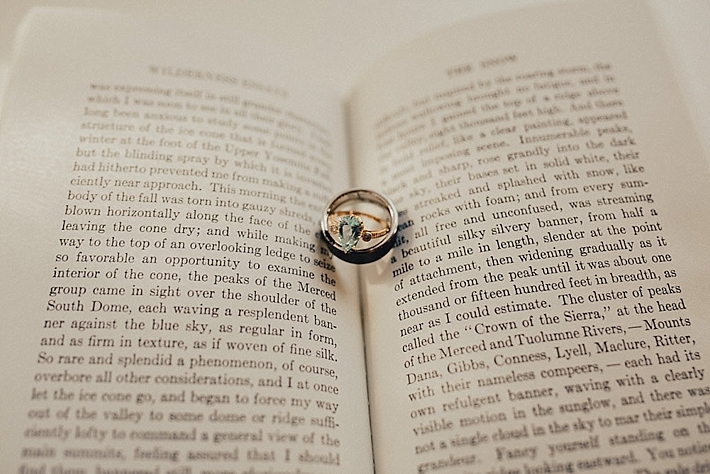 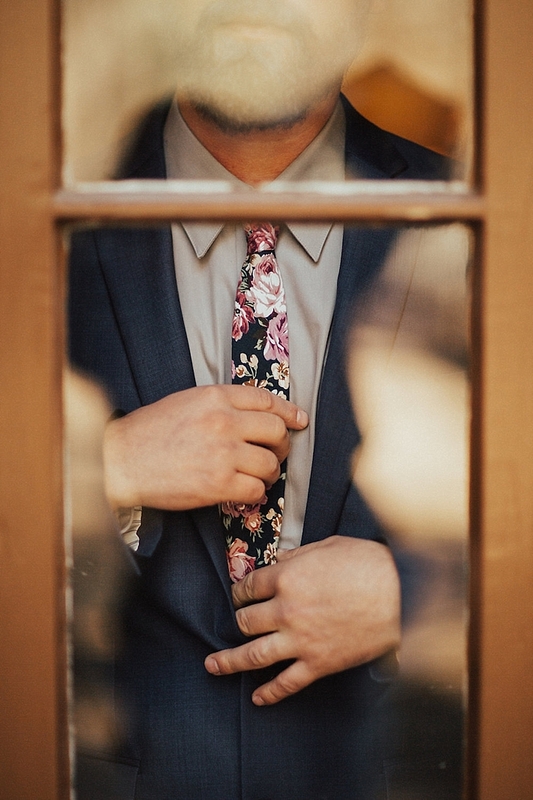 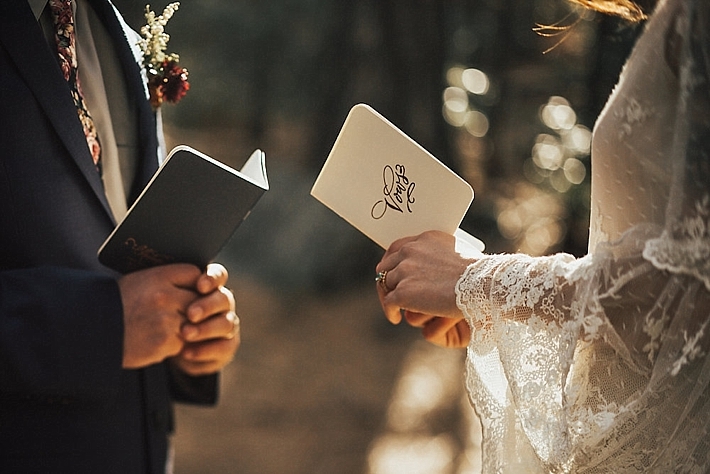 Each detail tells the story of the day, including words penned by John Muir which the groom read as he waited for his bride. 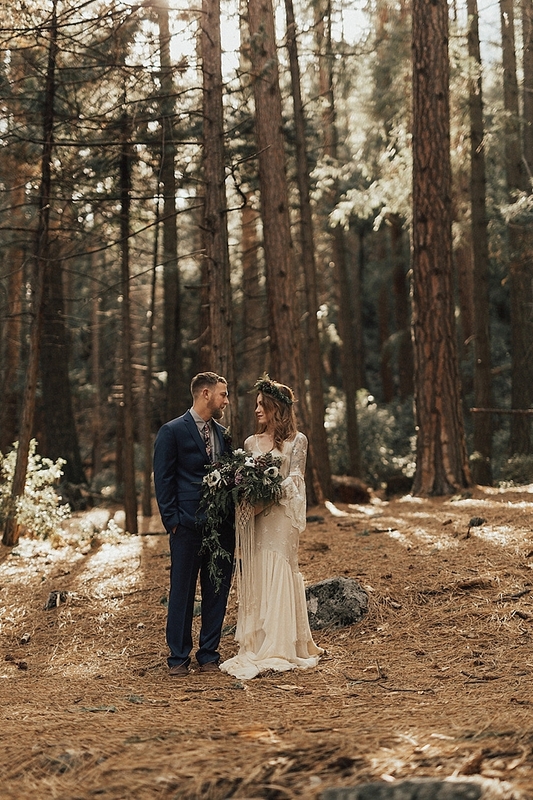 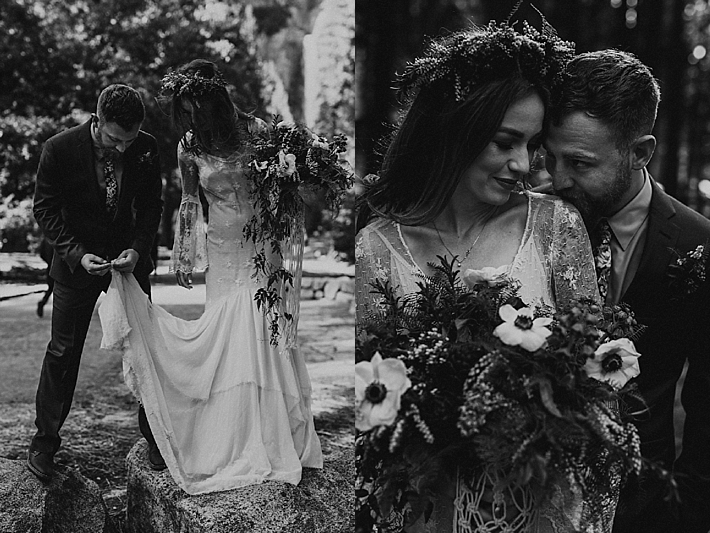 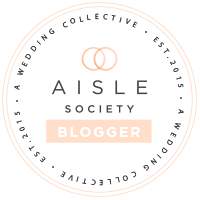 Danielle + Steve were married in a civil ceremony and this event was so special to them as Danielle was able to wear a wedding dress for the first time. 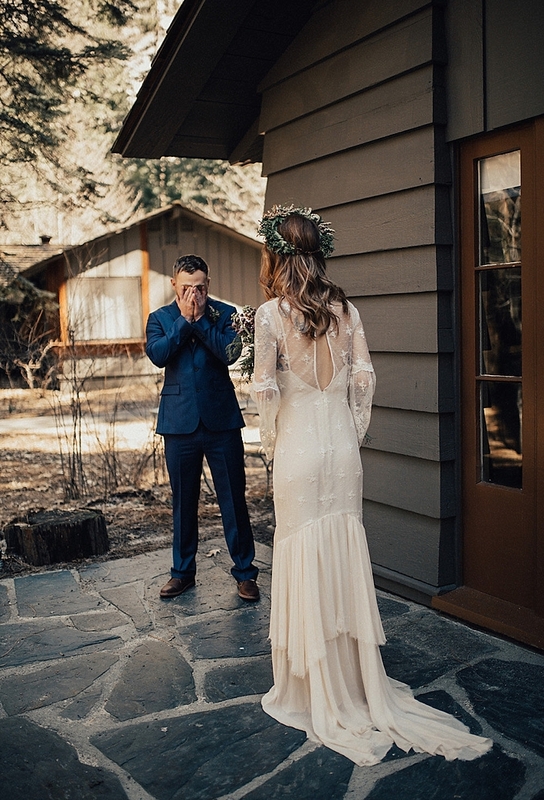 The first look was an emotional, authentic moment there at the Majestic Yosemite Hotel where the couple got ready. 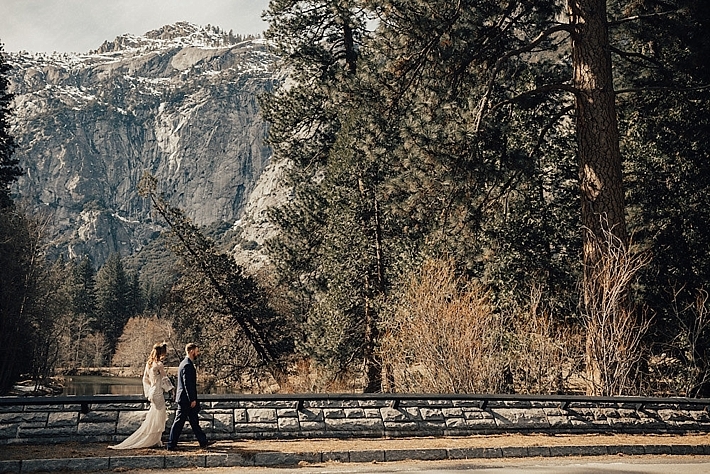 From there, we moved to Cook's Meadow for views of Yosemite Falls and Half Dome before continuing on to get a closer look at the falls. 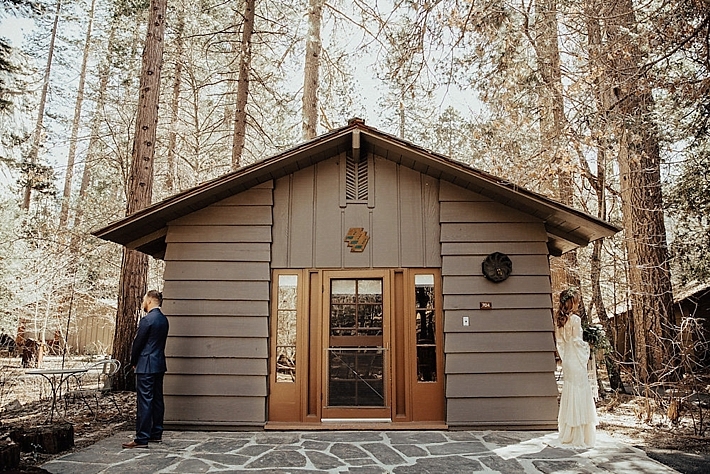 Off the path, surrounded by ancient Ponderosa Pines, the two exchanged vows. 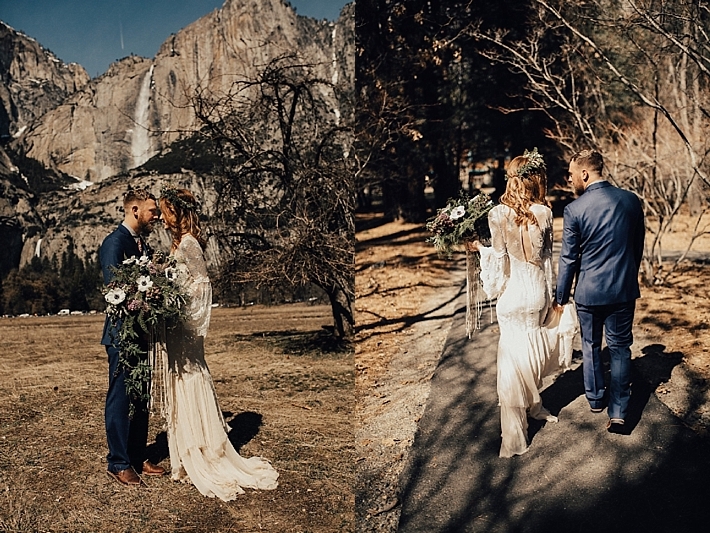 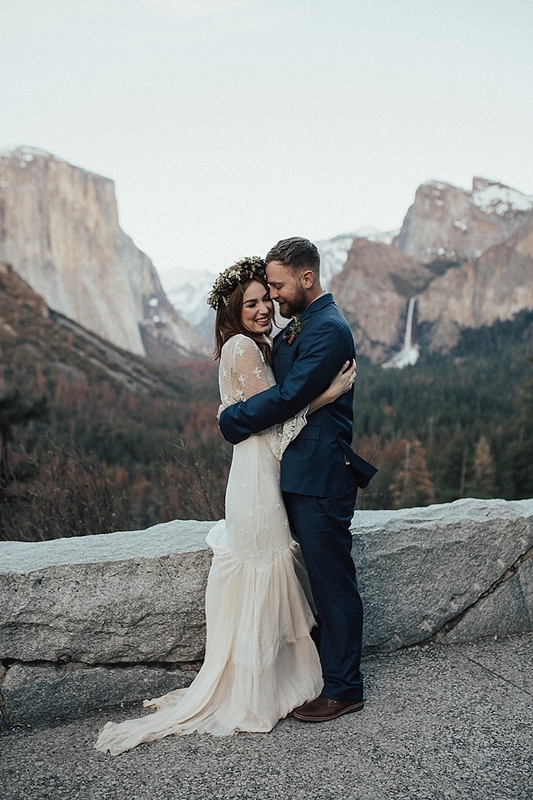 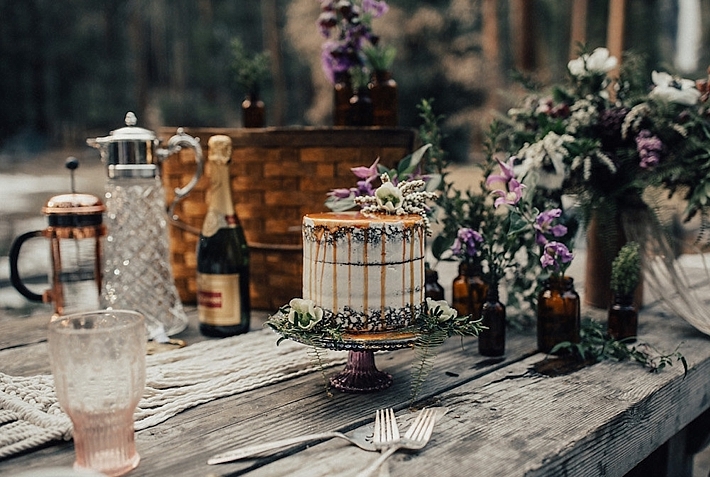 Beneath glimpses of the crashing waterfall, Danielle + Steve shared cake and coffee at a rustic picnic table before heading to Tunnel View for sunset snuggles."